To enter our April/May 2015 Release's The Big Giveaway CLICK HERE. To enter to win In Bloom: Lola's Bouquet + Essentials: Audrey Cutaways + In a Word Cutaways...continue reading! 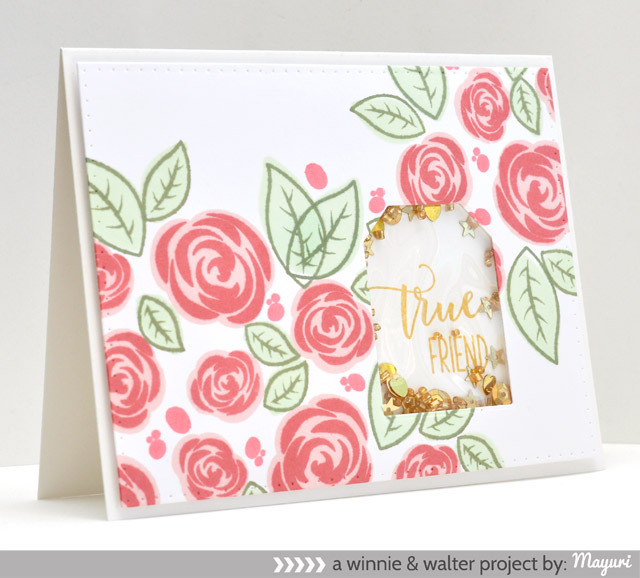 Today we have some essentials for you including our first stamp collaboration! In Bloom: Lola's Bouquet with Joni Andaya is a set with versatile and stylish smaller blooms, leaves and containers a la Joni! Layering options are unique and endless with this set. 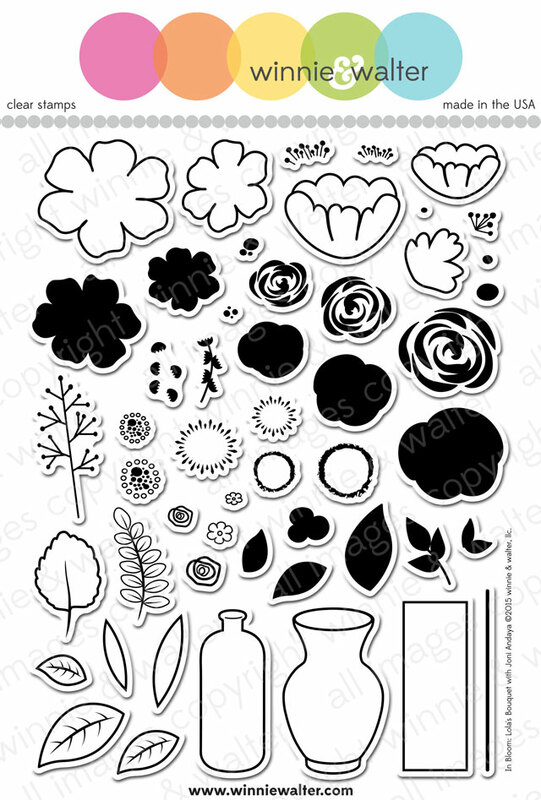 This is a must-have stamp set for anyone who loves flowers! Be sure to check out Joni's blog throughout our Release Week for more inspiration with In Bloom: Lola's Bouquet with Joni Andaya! We are adding to our Essentials line with Essentials: Audrey Cutaways. 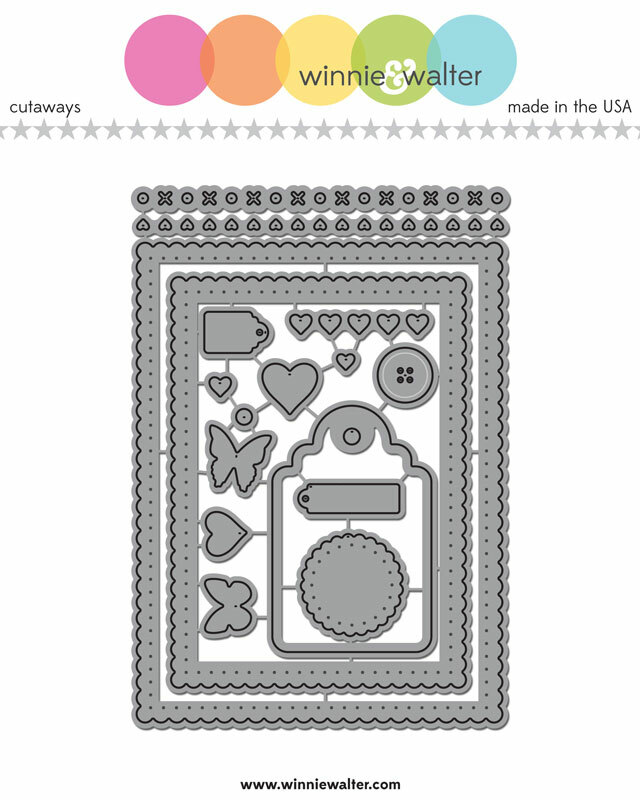 These are cutaways (dies) that can be used to layer in your crafting project or each used alone. We named it Audrey after the timelessly elegant and feminine Audrey Hepburn. There is a small pierced hole detail on several of the larger layering dies that is elegant without being fussy...a true classic! Let's get to the fun part and see what Julie, our guest stars, Maria F. & Maya Isaksson (our fabulous winners of our 1st Birthday Bash challenge), Lydia Evans (our April Leading Lady), + Anita in France (our May Leading Lady) and The Talent (our supernova creative team) made with the products. And make sure you visit Maria's, Maya's, Lydia's, Anita's and each of The Talent's blogs for more knock-it-out-of-the-park projects and details. Don't forget to share some love with them too! It is such a pleasure to be creating with In Bloom: Lola's Bouquet with Joni Andaya! Julie and I were so happy to work with Joni to bring a big set of layering flowers and this set is like a garden crammed with glorious blooms! I went very simple with this card. I love the bottle image that you can add a flower to. 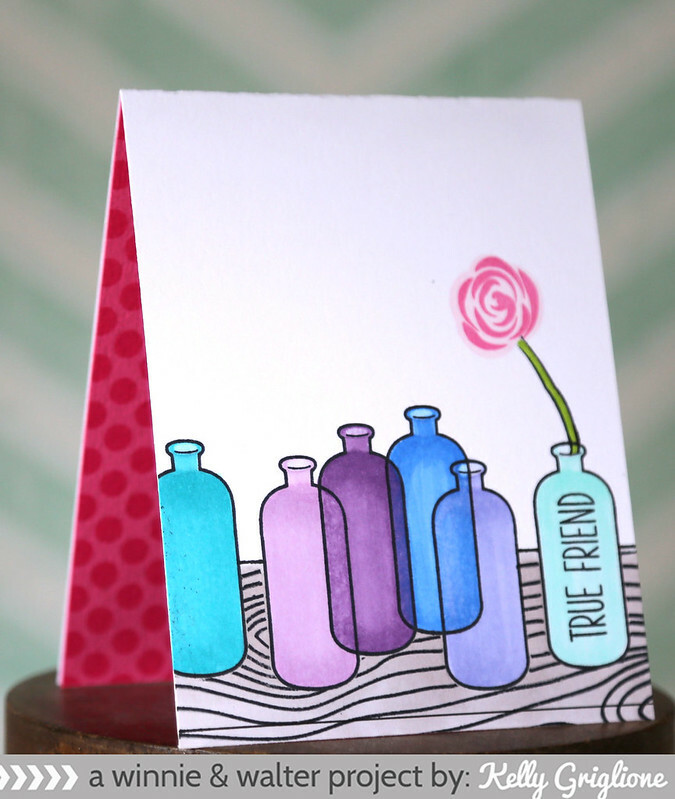 I stamped the bottle in weathered wood Tim Holtz Distress Ink and then colored it in with a waterbrush and the same ink. I stamped the stem (line) in mowed lawn and pine needles Tim Holtz Distress Inks and layered the flower using picked raspberry and spun sugar Tim Holtz Distress Inks and the leaves in the same greens as the stem. On the longer tiny tag in Essentials: Audrey Cutaways I stamped in weathered wood "for you" from The Big, the Bold, and the Happy and added some twine to the tag and added the tag using dimensional foam adhesive. Last I added a grey strip with the xoxo border cut out of it from Essentials: Audrey Cutaways. Honestly, I have fallen for Essentials: Audrey Cutaways just as much as I did for Essentials: Katharine Cutaways. These are powerhouse die sets. 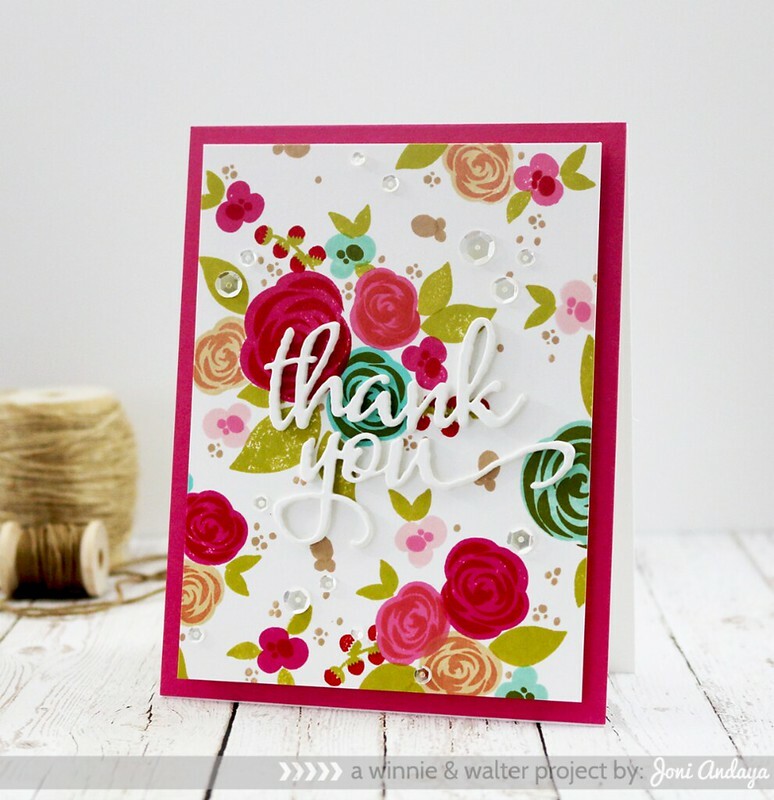 I love making my own backgrounds and In Bloom: Lola's Bouquet with Joni Andaya is perfect for this (so perfect I made another pattern for my last card). On the smaller layer from Essentials: Katharine Cutaways cut from white cardstock, I stamped the three solid roses in squeezed lemonade, dried marigold and picked raspberry Tim Holtz Distress Inks and then overstamped the rose details in lemon zest, orange county and flamingo Color Theory inks by Studio Calico. Then I used the sketchy larger circle and stamped that in black for contrast. 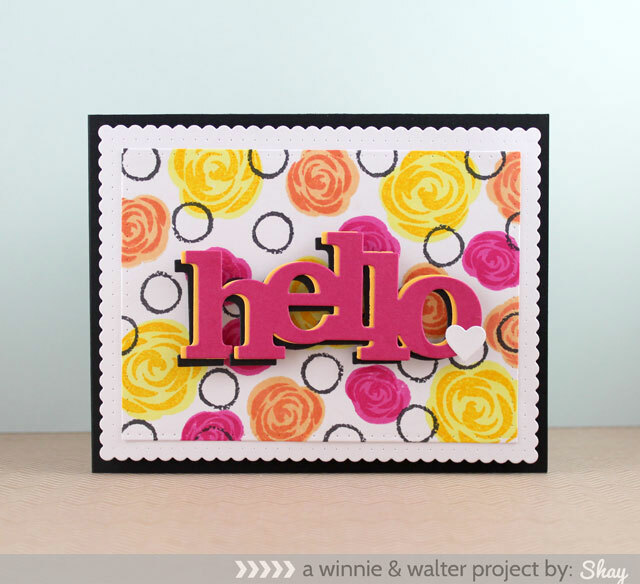 I die cut In a Word: Hello Cutaway 3 times in fuchsia, yellow-orange and black cardstocks and attached them slightly off for a shadow look. I attached them to the floral panel using foam dimensional adhesive. I added the largest heart from Essentials: Audrey Cutaways to the hello. I attached the floral panel to a panel cut with the larger scalloped layer from Essentials: Audrey Cutaways and then attached it all to a black card base. 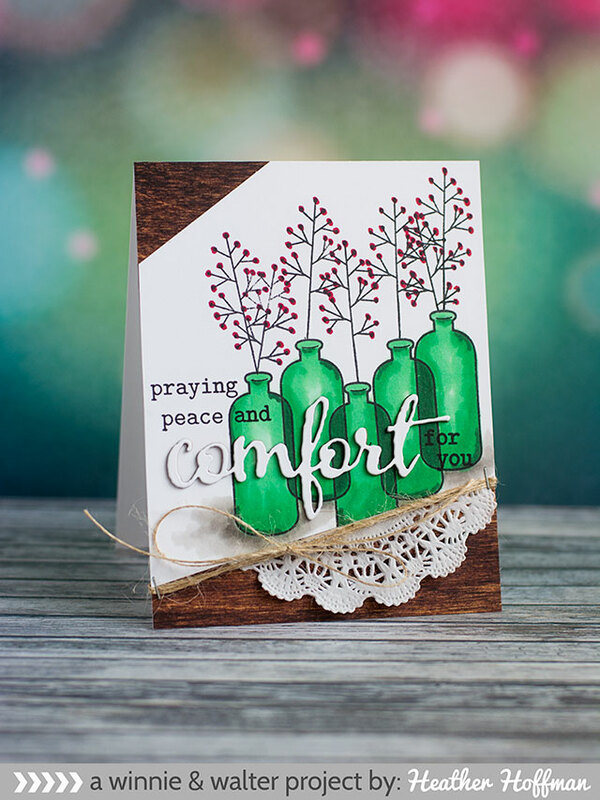 I just couldn't stop making backgrounds so using picked raspberry, festive berry and pine needles Tim Holtz Distress Inks, bermuda bay and pink pirouette Stampin' Up! inks and lemon zest Color Theory ink by Studio Calico I stamped a very fun and busy pattern on the smaller panel from Essentials: Katharine Cutaways cut from white cardstock. Does it have a retro look to you too? I adhered it to a white scallop panel cut using the larger layer from Essentials: Audrey Cutaways and then adhered it all to a teal A2 card base. 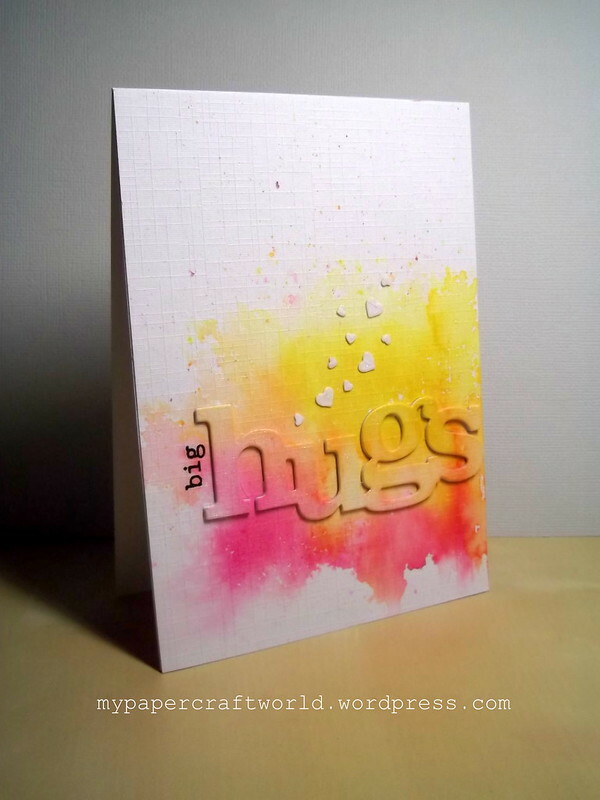 I cut out In a Word: Hugs Cutaway from white cardstock 5 times and adhered them all together for more weight and dimension. 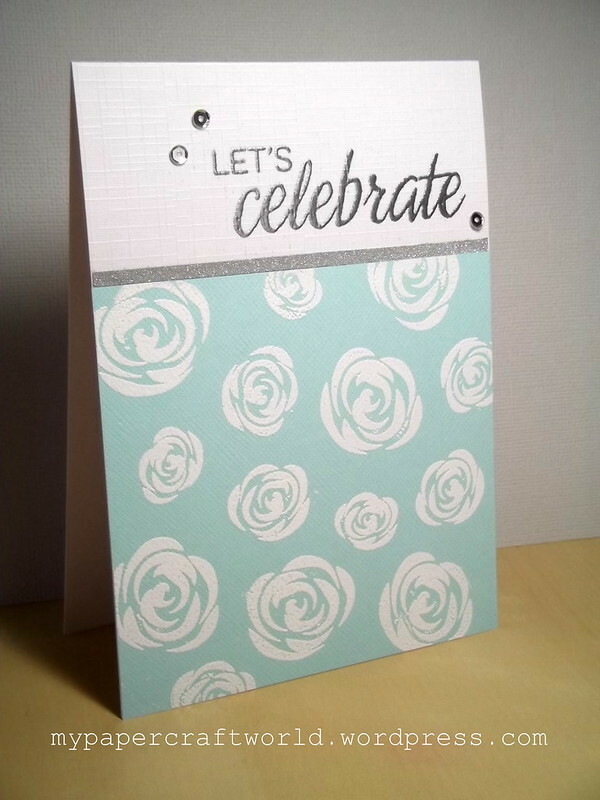 I cut out the banner from The Big, the Bold and Extras Cutaways (more on that tomorrow) from white cardstock, stamped the sentiments using bermuda bay from The Big, the Bold and Friends and then colored it in with squeezed lemonade Distress Ink and lemon zest. I adhered the hugs to the floral panel and banner using dimensional foam adhesive. That's it from me today so now it's time for the showstoppers from our guests and Talent! CLICK HERE to see more from Maria. CLICK HERE to see more from Maya. CLICK HERE to see more from Anita. CLICK HERE to see more from Joni. She is also doing a giveaway of In Bloom: Lola's Bouquet with Joni Andaya so you won't want to miss that! CLICK HERE to see more from Lea. 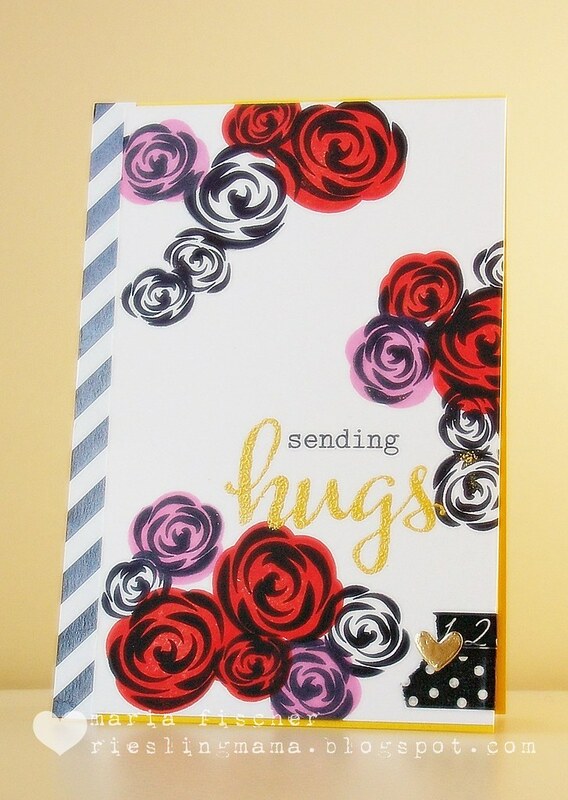 Comment here on this post for a chance to win In Bloom: Lola's Bouquet stamp set + Essentials: Audrey Cutaways + In a Word: Friend Cutaway + In a Word: Hello Cutaway + In a Word: Hi Cutaway + In a Word: Hugs Cutaway of your own by 11:59 p.m. (central standard time) May 1, 2015. One comment will be chosen at random. All winners during our April/May Release will be announced by May 3, 2015. To enter our April/May Release's The Big Giveaway CLICK HERE. I am totally gob-smacked by the beauty here today! Picture perfect, each and every card!! Can't wait to pick my Lola's Bouquet!!! WOW! What amazing new products and samples from everyone! Awesome! What a great day of releases...I just love those flowers and vases. 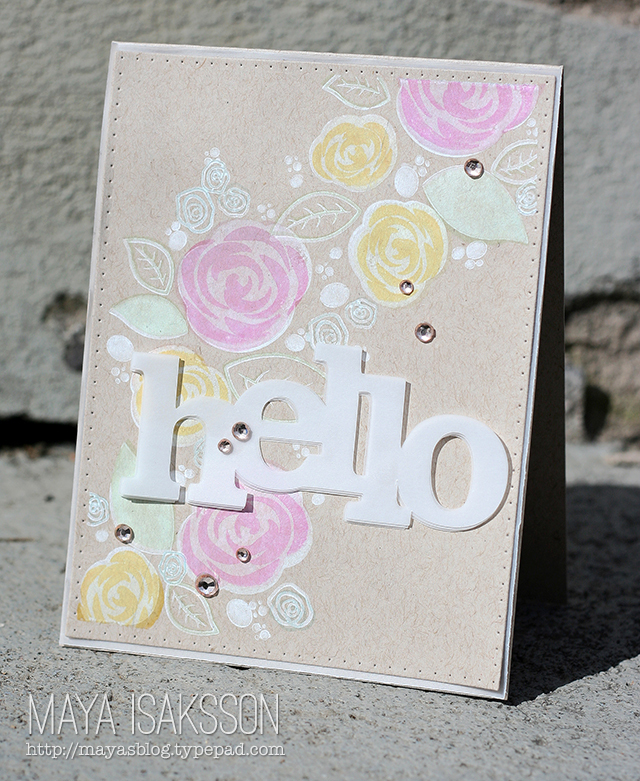 Amazing use of the dies and stamps on these very pretty cards. Love all these stamps and dies. There are so many different uses. Thanks. Wowsers... another post full of amazing artwork ladies! 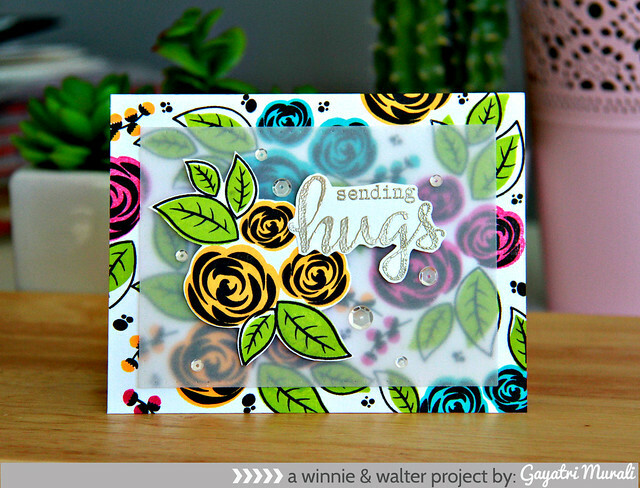 Love the blooms of the stamps paired with all the gorgeous dies! And oh so many die shape possibilities too!!!! Fabulous job everyone! Amazing release and those cards look so beautiful! AMAZING! Those Audrey Cutaways are fantastic!! And I love the new blooms too!! And so many gorgeous sample projects! Thanks for the inspiration and the chance to win! Lovely cards with these new stamps and dies! OMG !! 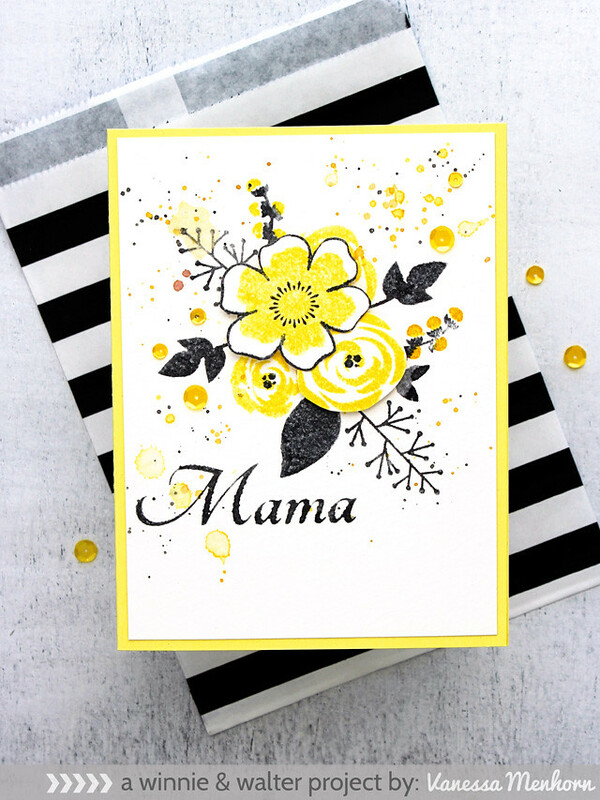 I am so in love with the stamp set designed by Joni ..its gorgeous and definitely a must have ..the dies are sooo awesome too ..And all the cards shared by the designers are simply amazing too ..!! I am savouring this WORLD OF WONDERFUL!!! 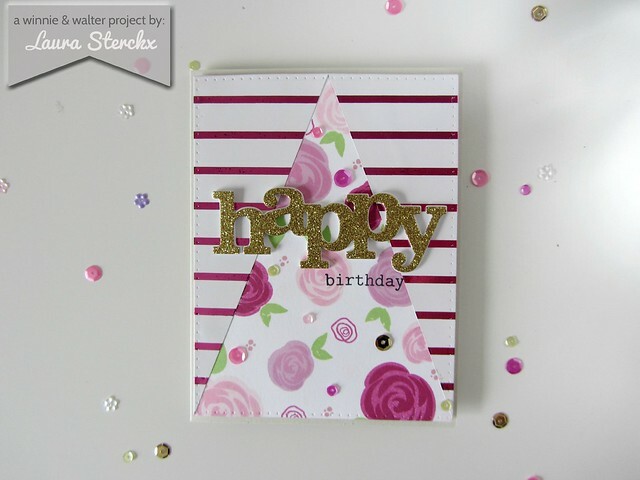 LOVE the stamps & dies and holding my breath in AWE of the AMAZING cards everyone has CREATED, such BEAUTIFUL designs and an EXCITING introduction to these CRAFTY DELIGHTS!!! Wonderful cards. Lov them all! Can't wait to get my hands on the new release. OMG, I am in BIG trouble, loving it ALL!!!! Your word cutaways are fabulous, would love to win something this release, thank you for such awesome projects. Love your cutaways, and this Audrey set is no exception! Loving the entire release so far!!! Seriously gorgeous. The Talent rocked today's projects. So lovely! 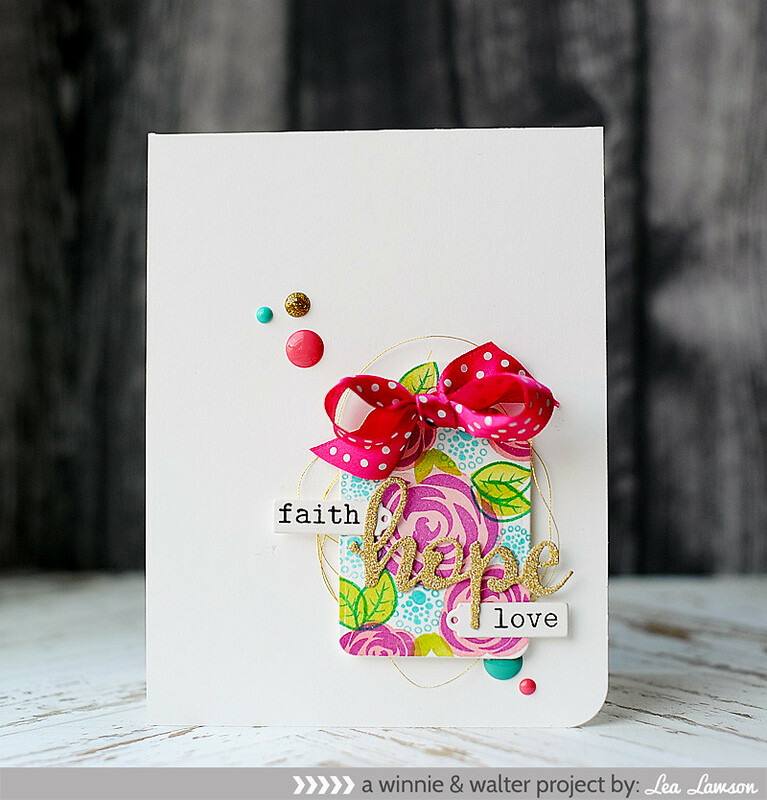 Inspiring cards and amazing release! Wow. There is already such a range in the products this time! Beautiful stamp set and dies!! This is a STELLAR release! I enjoyed all of the cards today with this awesomeness and had to pin a few in case I get the chance sometime to actually try and duplicate them. Great products! Oh my! Everything today is drop dead gorgeous and I so hope that you pick me please! Oh, how fabulous are these!!! Love this set. I believe these are all "must-haves". I certainly will have them. And your design team as really outdone themselves, this time. Wowzers! Fabulous cards by the design team. I am so loving everything in this release! 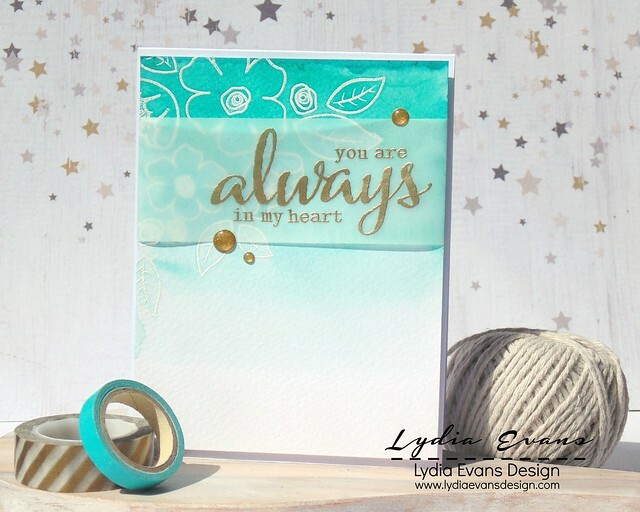 Such lovely cards using the new stamps and dies! The Big, the bold and the Happy is this hopper/shopper! What a delightful April/May release! Just in time for all those special occasions coming up! The new stamps set is 52 opportunities for FUN! Already a Facebook follower! I love the new release...I am super impressed with your Design Team! Fabulous creations! I love the new In a Word Cutaways, those need to come live with me. Fabulous release and projects...Thanks for chance to win this fantastic prize!!! This is such a pretty set and on my wishlist! beautiful stamp set!!! I love this!! and the dt has done a tremendous job!! kudos!! What a fab release! Beautiful inspiration! "In Bloom" is just for me. Love it & got to have it! Oh my goodness, I am stunned! These are just gorgeous, and this release is fantastic! Love the beautiful flowers and vases in this set, and the new Cutaways, WOW! Terrific samples by the DT and guests! Oh wow! I am blown away by all the talent and creativity as well as the products! Woo Hoo these are amazing! Another great reveal, what a talented DT you have! Loving the new products, especially that giant hi! WOW! Wonderful new products and a bunch of inspiration from the design team - thanks a lot for this feast for the eyes! the cards are amazing. So many ideas for using this stamp set. Love Maria F.'s vase. So bright and colorful. Fabulous cards from the designers! I love this flower set! WOWSA!!!! The products and designer samples in this post are too awesome. Can't wait to blow my budget and get my hands on your new products. Fabulous new stamp set and cutaways! Can't wait to get these.. awesome release!!! What a fabulous release! Love the beautiful In Bloom set! All of these cards are absolutely beautiful! Great inspiration! Wow! Gorgeous cards and details...such wonderful inspiration from the team. Loving the new release! Great- awesome- super- cool- amazing- lovely - absolutely fabulous! I'm so excited about this release...GORGEOUS cards, ladies ~ You have showcased everything beautifully!!! Everything in this giveaway is fabulous! I am in love with the versatility of each piece. The cards that these wonderfully crafty ladies have created are absolutely stunning!!! OH so many ideas to choose from! Stunning release! I love Lola's Bouquet, so many great ideas from the DT for this release, my wish list keeps growing! 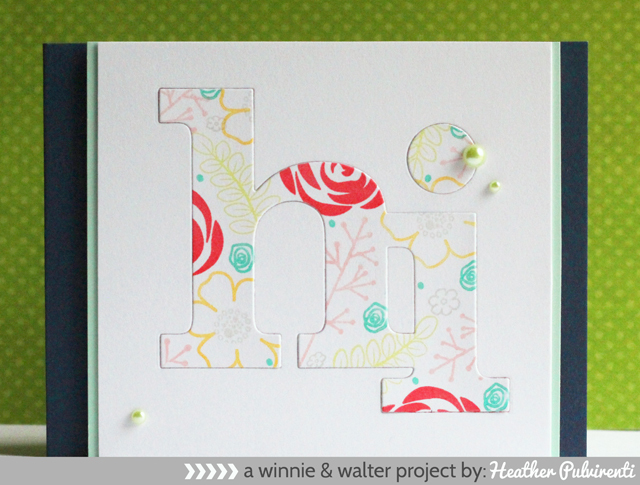 The big 'hi' cutaway is my fave!! Beautiful work again, everyone!! Just perfect flowers!! Loving these releases!! Those flowers are so fabulous! The Cutaways are so awesome! I love the Audrey dies. And that shaker n roses card is amazing! I often think to myself, "Do I really need another flower set?!?" And the answer in this case is, "Duh, MOST DEFINITELY!!" All of today's projects are so wonderful, I love this set. wow more and more beautiful dies (there are my favorites) and your team!!! bravoooo!!!! the creations of your team are awesome with this beautiful products! Another incredible release day. Love everything, especially the Audrey Dies and the new word dies, can see them being very popular. And amazing inspiration projects too!! What fantastic creations with the new release. Thanks too that the word dies are really reasonably priced. I love using words on my projects. Joni's flowers are wonderful!! Love all the little elements she thought of! The Audrey Cutaways look oh so useful, and happy to see more "hugs" today! Thank you!! As always, your team has given us lots of wonderful ideas! Fabulous cards!!!! What amazing & wonderful bunch of ideas! Loving this release! I'm in awe! Lola's Bouquet is jam-packed with delightful images! Love all the new cutaways too! Thank you so much for such amazing inspiration! Such beautiful cards. Can't wait to get my hands on In Bloom & the new Cutaways. I love how wonderful these new stamps and cutaways look!! Super excited about all of this release!!! But these cards - oh my - what a feast for my eyes and ideas for my mind!! I love the way your people design with your products - the showcase them in the best possible way!! So happy about everyone's cards and that they shared their magnificent talents with us!! WOW! I'm blown away by the totally amazing realease and the talent from all your designers! Congrats! What great new releases. The dies and stamps are just amazing...certainly on my wish list. All the cards are very beautiful - so inspiring! Oh my - loving this flower set! That's a lot of stamps in one set! So much fun! I love all the unique takes on these stamp sets! Beautiful cards today! Beautiful work showcasing this new release! Love these cards and the new release. Can't wait to see more! Love Joni's flowers and the fabulous cutaway! (17 included, wow!) and love all the samples! Awesome job everyone! Oh wow absolutely gorgeous and fabulous!! Looks like such fun products to play with. Can't wait to try!! Spring is here:) thank you for the wonderful cards! LOVE these! These would be so much fun to play with! Wow, I love so many items in this release. Thanks for a chance to win. And the projects are awesome! What a lovely stampset ! The cards by design Team are just amazing ! Awesome giveaway! TFS! I love the cards! Wow so much gorgeous inspiration from the girls - I have pinned quite a few! 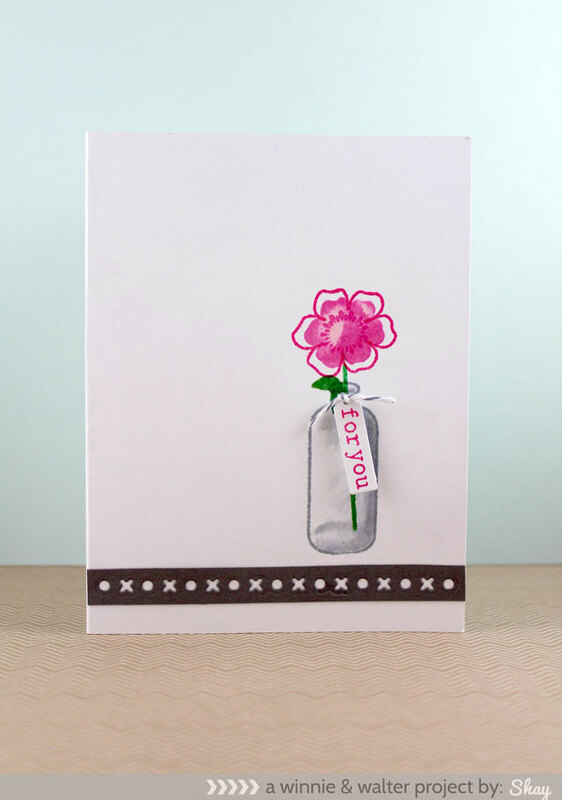 Love the flower stamps and the cutaways always are a fave! Wow, gorgeous new release and what stunning samples! The large 'hi' die is amazing. Joni's flowers are fabulous. I love all the possible combinations - marvellously versatile set. I really like the pierced detail on the Audrey cutaways and those get big words. All cards are gorgeous and jaw-dropping! Wow! 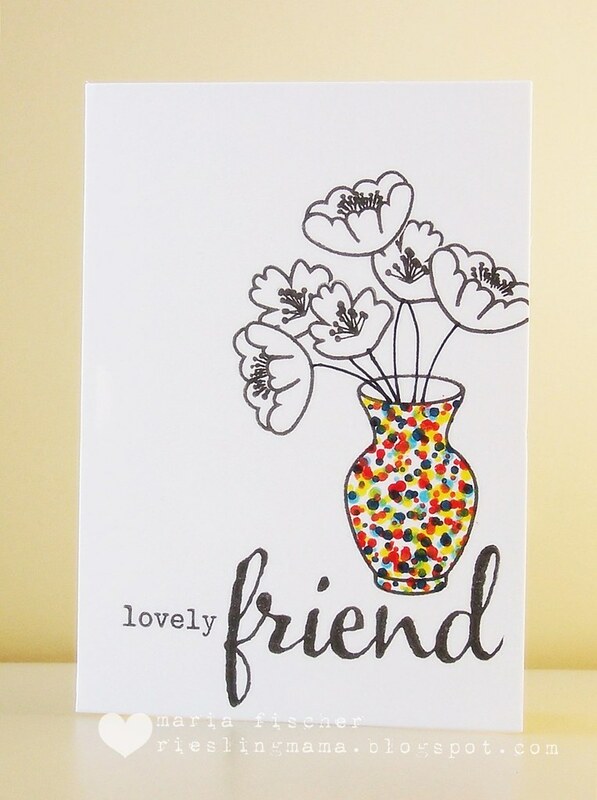 Love all the beautiful floral cards! I lovee this stamp set! Can't wait to try it! Such gorgeous cards! Love Joni's new floral set--beautiful and so versatile! Loving the blooms and the new word cutaways! The floral set is so pretty and looks like it would be fun to play with! Swooning over the new release! Especially those word dies - have to have those!!! Fabulous DT cards! Love all the big word dies!!!! Once again you have hit it out of the ball park! Fantastic release! What a wonderful assortment of pretty and colorful projects. I like building backgrounds, so Lola's bouquet looks pretty amazing! Oh my gosh I am so in love with these flowers!!! Love these sweet roses and the Hi cutaway! Thanks, Paulette S.
So many ideas. I just love it all. So much fun. What absolutely gorgeous cards!!! Love all of the wonderful inspiration! Love the cute little backgrounds and bouquets with lola!!! Joni is so talented and your collaboration stamp set is lovely!! Another fabulous stamp set- way to go Joni for illustrating these gorgeous flowers!!! So many great cards! I'm looking for to more In A Word Cutaways. Lola's Bouquet look great also. Thanks for the chance to win! I saw this on Joni's blog and came rushing over here. WOW to the max! A fabulous new set for floral lovers like me. I am a big fan of your word cutaways! Thanks for inspiration and a chance to win! Love this too! I want them all!! Wowza! The talent and the projects are AMAZING! Keep up the good work ladies! Oh, there are so many possibilities with those flowers - love them! The stamps and dies are absolutely amazing! And the DT inspiration is out of this world! 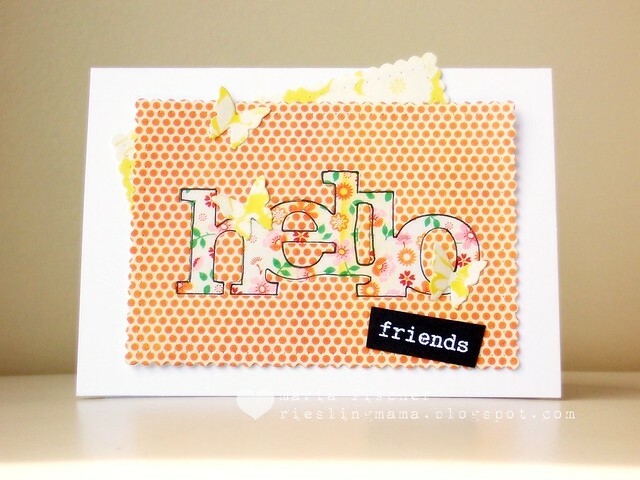 Love these stamps and dies! The cards using them are gorgeous! 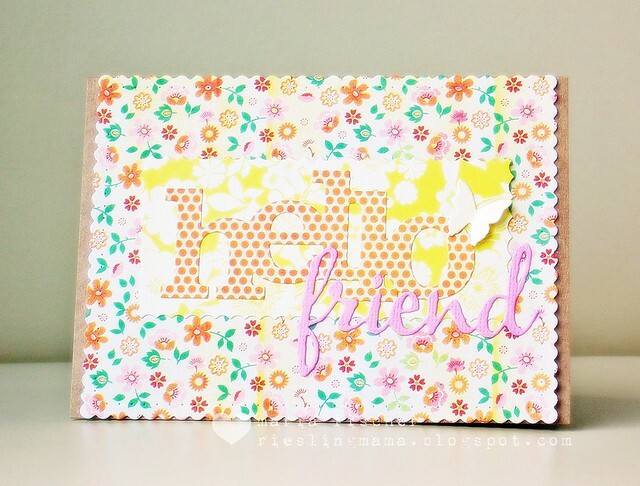 Love these stamps and dies too! Wow, so many beautiful cards here! I especially love the word dies! Every card is stunning! It's a testament to the excellent creative talent of the W&W team. Beautiful cards today! I can't believe how many different looks you can achieve with only a few stamps or dies! Just gorgeous! Lovely looks, Maya's my fave today! The new release by W & W is going to be fabulous!! WOW, truly beautiful! The new release is fantastic! WOW Lola's Bouquet is gorgeous and the new dies are amazing. Love it all! Great products! I love the In a Word Cutaways so much! THey would be great to send hugs and hellos to friends.